As a content marketer, it’s common to hear that segmenting your data is important, but do you know why it matters? Segmenting your customer data allows you to pinpoint different subgroups that relate to another in one or more ways. This simple strategy can be extremely beneficial to a content marketer. 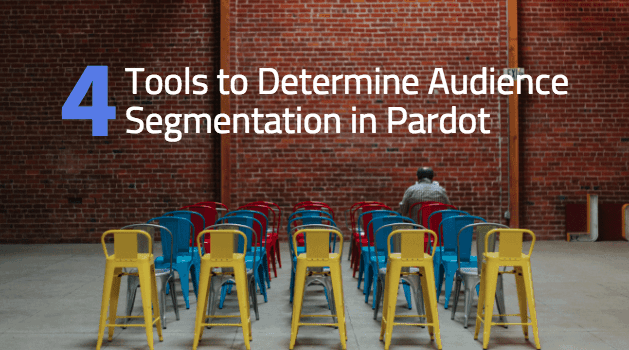 The most significant reason a to consider audience segmentation is due to the fact that it hones in on a data subset, which allows you to better understand your customer. In turn, you can create customer-specific content that resonates with the right target audience. With all the advertising and marketing clutter today, it is more imperative than ever to offer relevant and valuable content to your target consumers. By delivering worthwhile resources, customers immediately see value within the company and brand. This can result in a greater opportunity for cross-selling/up-selling, consumer retention, higher conversion rates, and more. If you are just starting out with content marketing and have yet to determine who your audience is, here are the most common characteristics for segmenting your data. Keep in mind your audience segmentation is going to be specific to your company – learn more about audience building. For example, as a loan lender, you may choose to segment your data by income. The greater the income a contact has, the larger loan you may be able to offer them. This would determine the specific campaigns marketed to these groups – leverage your content the right way. With this tool, you are able to create a one-time list (static) and lists that automatically update based on a set of rules and criteria (dynamic). Static lists are manually updated by importing or removing contacts. These are the standard types of email lists. As for a dynamic list, the only way a contact can be added to that list is if they meet the criteria. For example, you may create a dynamic list that only holds contacts with the state MA. If a contact has the state RI, they will not be added to the dynamic list and you cannot manually add them. Pardot allows you to prevent certain contacts from receiving specific mailing communication when opting to “suppress” them. For example, you may want to create a suppression list of everyone who has not opened an email within the last 30 days to avoid mailing uninterested leads. This functionality in Pardot allows you to apply “tags” to individual contacts. This helps to organize and segment your data even further. For example, you may want to tag your “tradeshow contacts” within Pardot to easily distinguish they need to be placed in a pre-show campaign. You can also use these tags to create dynamic lists or automation rules later on. Pardot allows users to create automation rules, which can automate a number of things. Specifically, regarding segmentation, automation rules can push contacts to a mailing list based on criteria. Automation rules can also automatically apply tags to contacts given criteria has been provided. There are many other actions you can take with automation rules like updating contact fields or adjusting their Pardot score. Now that you have learned how to segment like a pro, let’s look at how to create an effective content and distribution strategy. Promote your content and increase revenue from website traffic.